Dr. Kevin J. Dembinski is committed to providing excellence in dentistry, and stands out as a leading dentist in North Brunswick. Dr. "D" uses the latest in dentistry techniques to provide you with a beautiful and healthy smile. Additionally, Dr.Dembinski believes strongly in education to prevent oral health problems before they occur, and makes sure to keep patients fully informed about their dental health. Read more about Kevin J.Dembinski, DMD below. 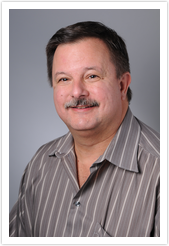 Dr. Kevin Dembinski graduated from the University of Medicine and Dentistry of New Jersey Dental School (now Rutgers School of Dental Medicine) in 1985 and has been providing quality dental care for the past 34 years here in North Brunswick. After graduation, he completed a one year General Practice Dental Residency at Robert Wood Johnson University Hospital in New Brunswick, NJ. Dr. Dembinski is an active member of the American Dental Association, New Jersey Dental Association and the Middlesex County Dental Association as well as a member of the Academy of General Dentistry. He currently resides in Millstone Township with his wife Holly and children Rob and Jaclyn.